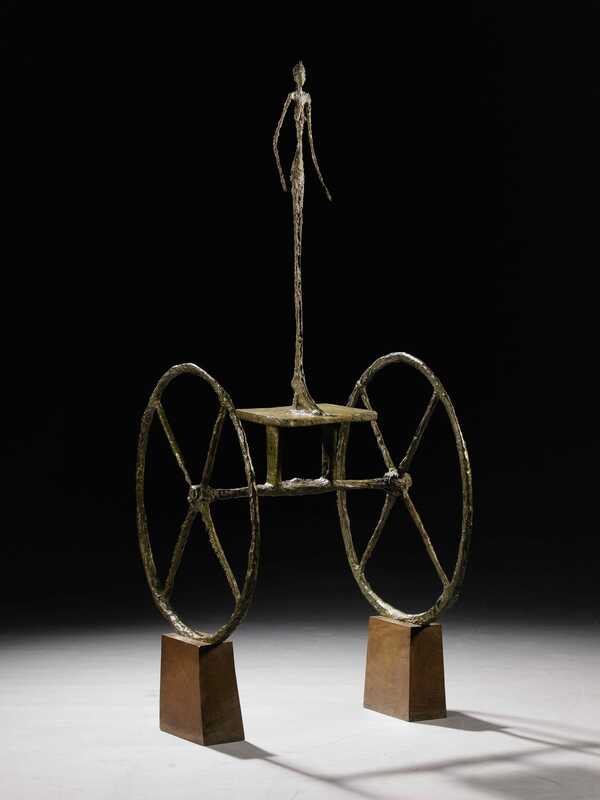 Hedge fund billionaire Steve Cohen is the man who paid $US101 million for Alberto Giacometti’s “Chariot” scultpure at Sotheby’s last week, the NYT’s Carol Vogel reports. This is hardly a surprise: Cohen is well-known for paying nine figures for coveted pieces of art for his collection. Cohen bought Picasso’s “La Rêve” from casino magnate Steve Wynn in a private sale (later confirmed by his art adviser, Sandy Heller) back in 2012 for $US155 million. He’s one of the only collectors to rival the Al-Thani family of Qatar in the super-high-priced art space. But while this latest big purchase ranks among the highest prices ever paid (publicly) for a work of art, it actually seems like Cohen got a deal on it. Sotheby’s estimate (which was only given out on request) was “in excess of $US100 million.” While the final sale price ticked up beyond that, estimates are of the hammer price, which is the amount that gets called out in the sale room and is the final price less the auction house’s fee. In this case, bidding never went over $US90 million, largely because there was only one bidder beyond the guarantor (who promises the auction house to buy the work if bidding doesn’t reach a certain price). Further, Sotheby’s was really looking for a new record for Giacometti sculpture, something above the $US104.3 million that Lily Safra paid for a different work in 2010. Thus, in the end, the sale was a disappointment, and a relatively good $US100 million deal for Cohen.